We appreciate any donation you can make…even one dollar feeds a cat two good meals! Or click here on the purple text to use a credit card at Network for Good to make single or monthly donations. DID YOU KNOW?! If you are a Georgia state employee at UGA, Georgia Tech, or any state agency you can choose Cat Zip Alliance/Campus Cats – Athens (state #194075) as the charity (or one of the charities!) you contribute to through automatic payroll deductions. Open enrollment varies by workplace, but typically runs September – December each year. Please pass this along to any state employees you know who are also cat lovers…and ask them to share with coworkers as well. As little as $5 a month makes a big difference to us or any charity you choose – if 100 people give $5 a month, that’s $6000 a year! We want to thank all of you who chose Campus Cats when you signed up as donors in previous years – you have helped us help a lot of cats! Support Campus Cats all year long through Amazon.com and Kroger! 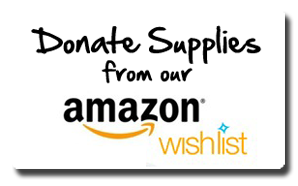 It’s easy to donate cat care supplies directly to us! Just go to Amazon.com and search for our wish list titled “Campus Cats/Cat Zip Alliance”. Choose one or two items – like a bag of dry cat food and a toy – pay for them online, and your donation will be mailed right to us! Shopping at Kroger and using your Kroger Plus card earns us cash! This does not affect your fuel points! 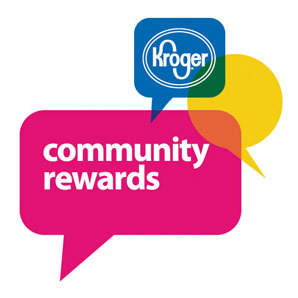 Have your Kroger Plus card handy so you can enter it and go to krogercommunityrewards.com to sign up. Choose us as the beneficiary by typing in Organization Number 50709 or Campus Cats/Cat Zip Alliance. We appreciate any donation you can make...even one dollar feeds a cat two good meals! Click the yellow Donate button to use PayPal to make a donation to Cat Zip/Campus Cats. Click here to use a credit card at Network for Good to make single or monthly donations. Cat Zip Alliance (CZA) is a nonprofit organization with 501(3)(c) tax exempt status. Copyright 2017. Cat Zip Alliance. All rights reserved.